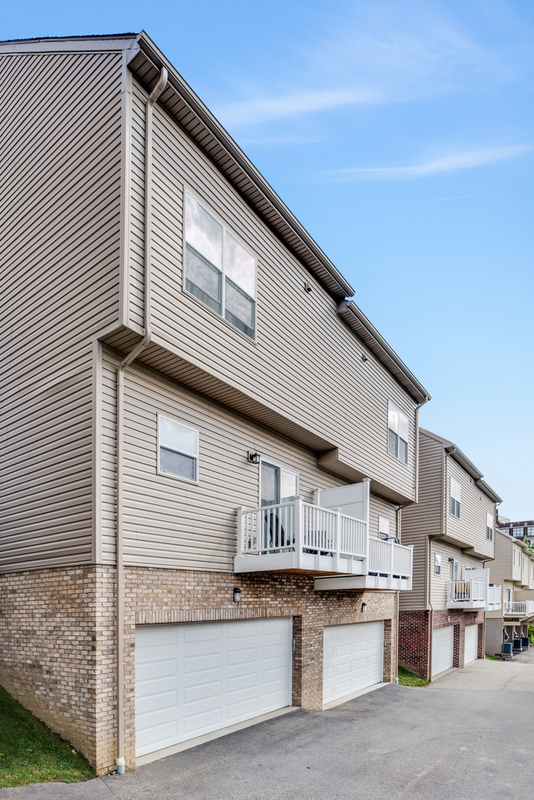 This allowed for two-car garages that load from the rear via a private common driveway, and for basements. 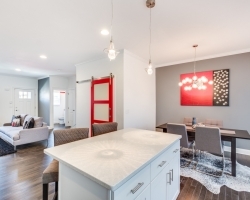 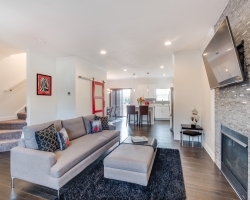 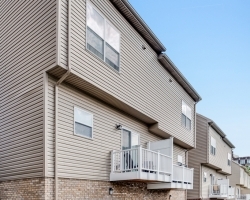 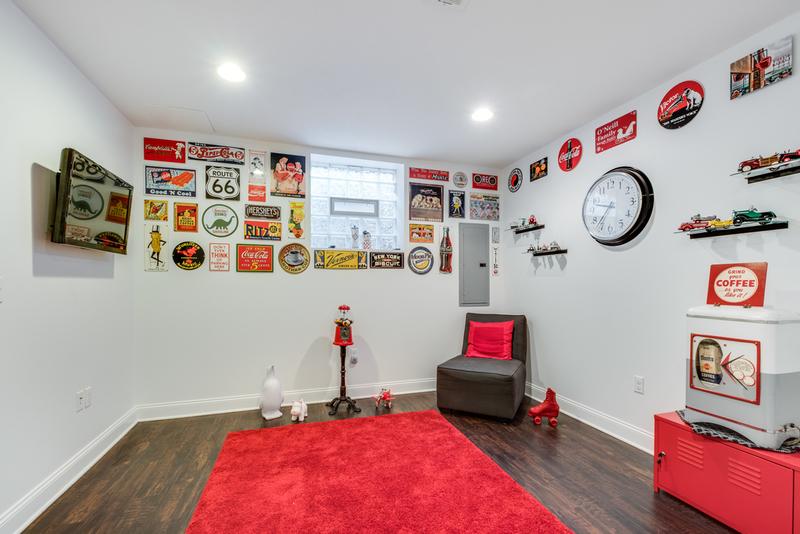 This townhome featured a finished basement that can be used for a home office or entertainment area. 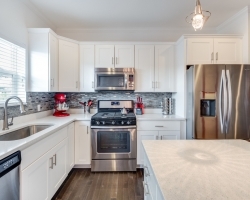 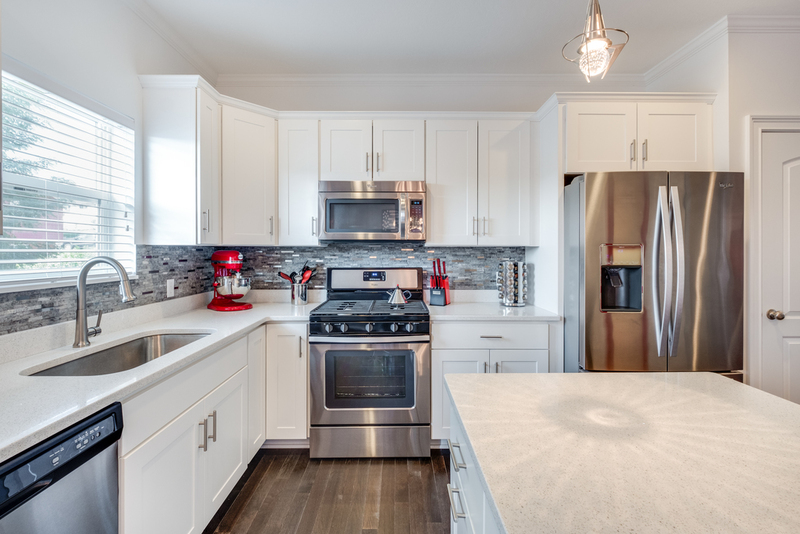 The open first-floor plan features the kitchen with a breakfast bar island, stainless steel appliances, tall cabinetry and quartz countertops with mosaic stone backsplash. 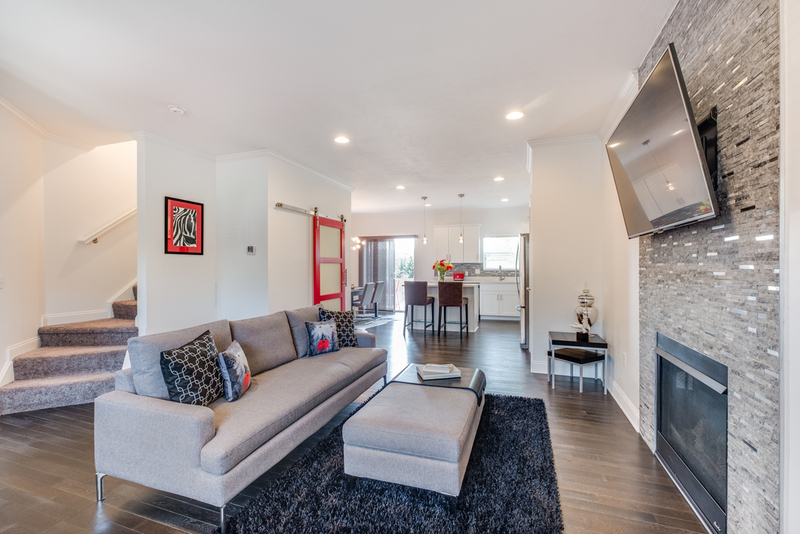 It also includes a dining area, living room and a maintenance-free deck just a few steps from the kitchen. 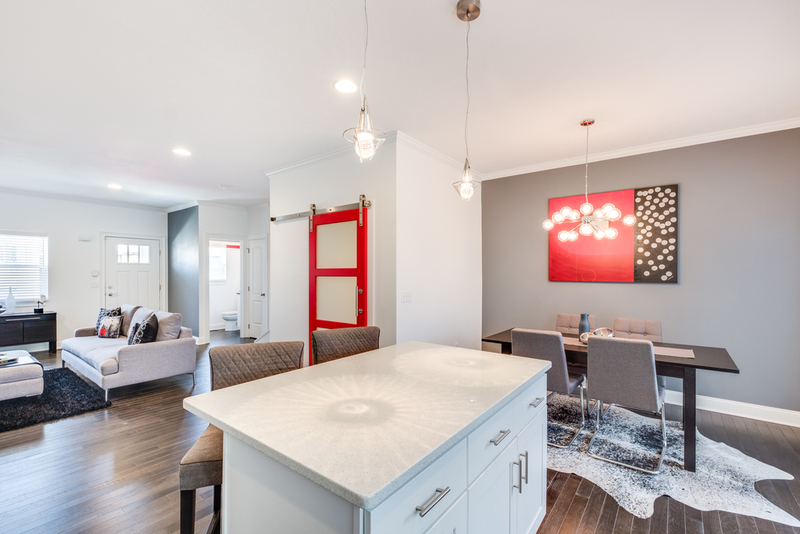 We installed a gas fireplace with floor-to-ceiling stone tile facing (the same stone as in the kitchen), and hardwood floors and crown molding feature throughout the first floor. 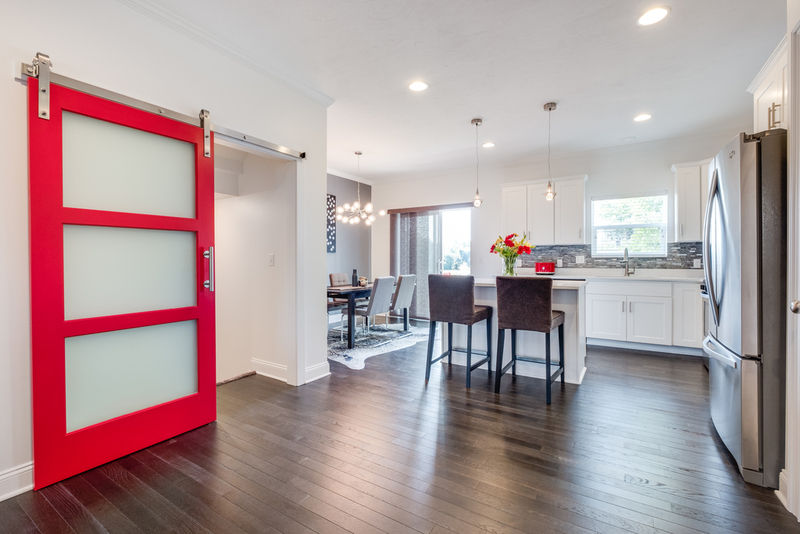 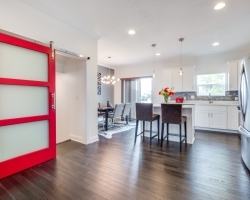 The client wanted a bright red sliding door to separate the first floor from the stairs to the basement which gives this room an amazing pop of color. 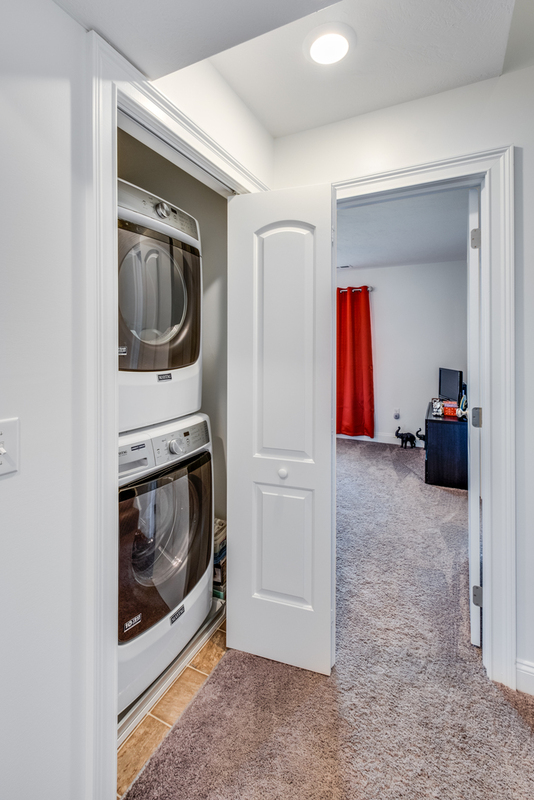 There are also a powder room and closet near the front entry door. 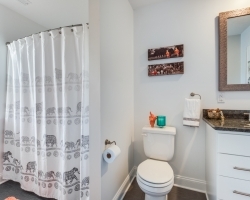 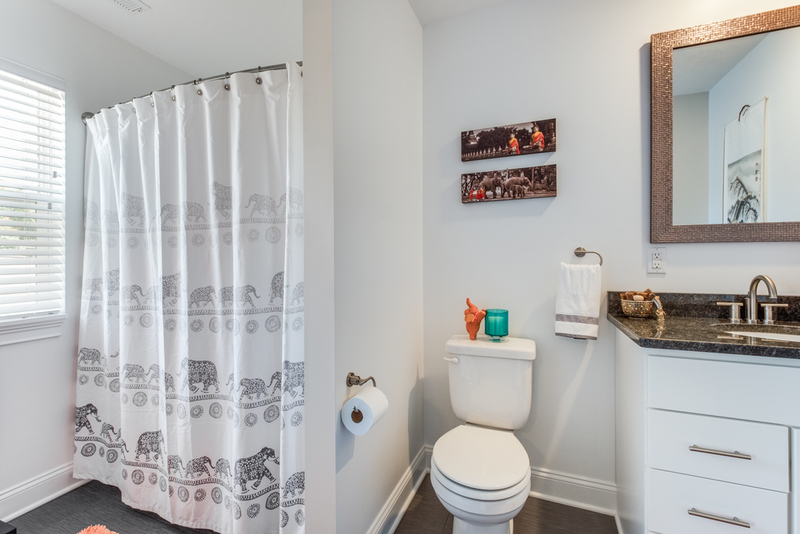 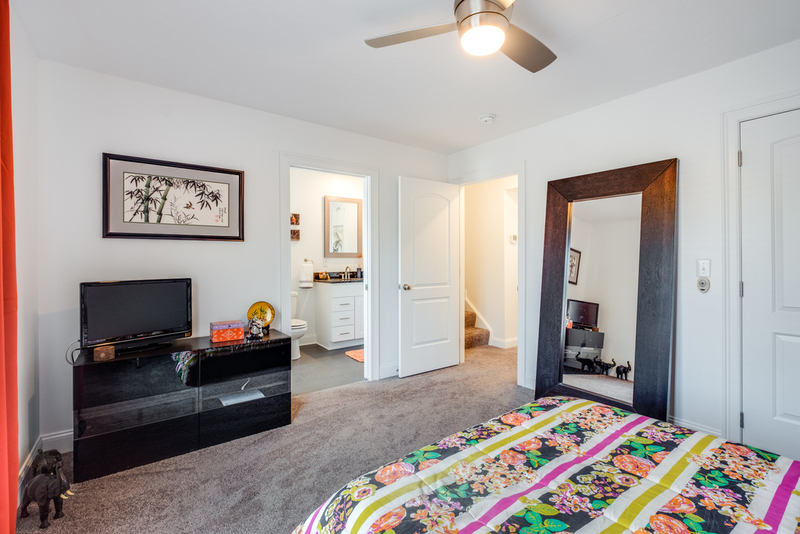 The second floor features a master suite with his-and-her vanities, a tiled shower, and a large walk-in closet. 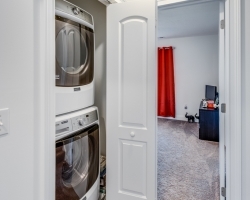 The second bedroom has a private bathroom, and the laundry closet (for a stackable washer/dryer unit) rounds out the floor. 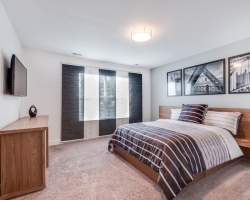 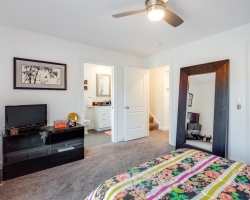 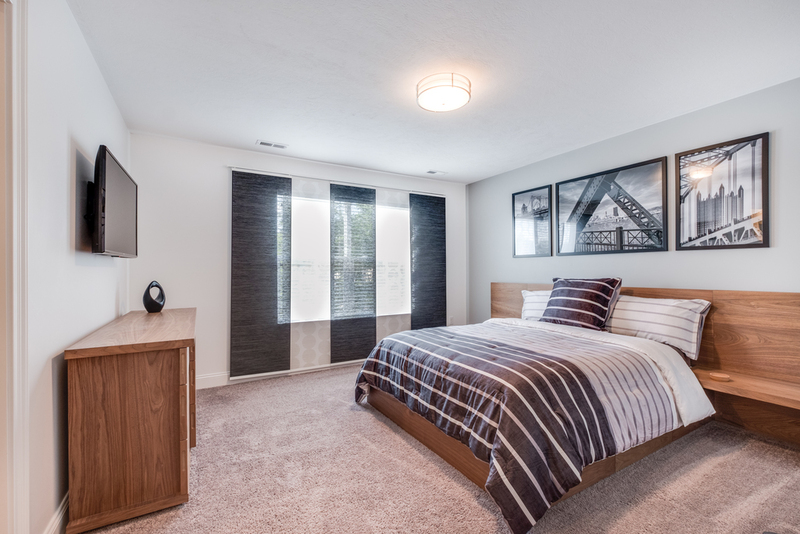 The third floor features another bedroom suite with its own full bathroom and walk-in closet. 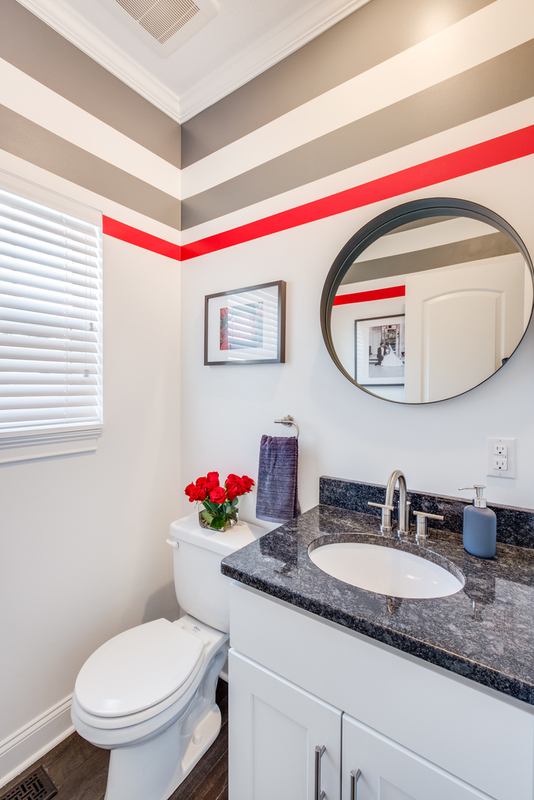 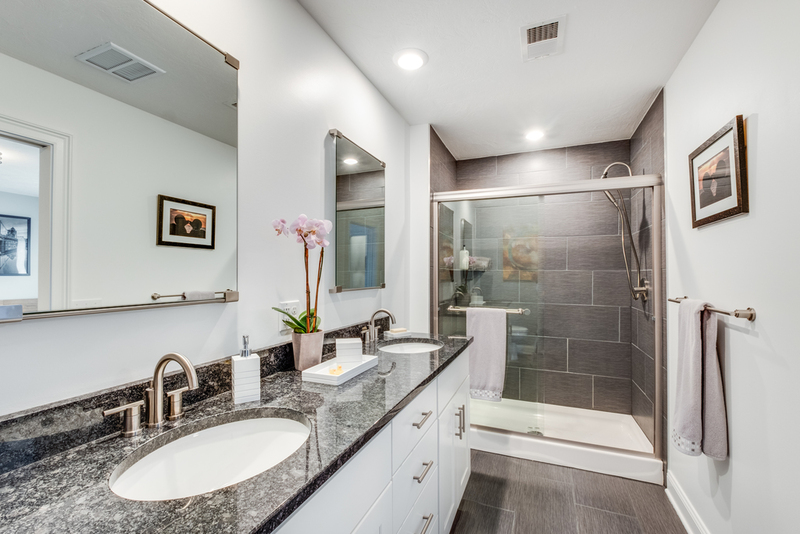 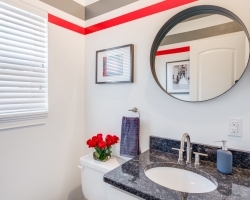 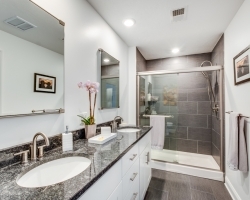 All bathrooms feature natural stone vanity countertops and tiled floors. 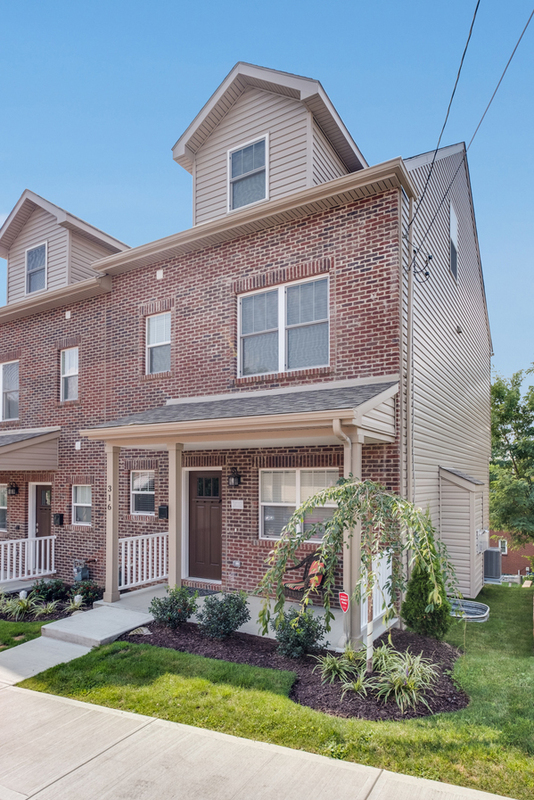 The front exterior is clad with brick veneer and has a covered porch. 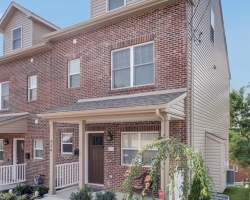 The HOA takes care of all grounds keeping and driveway maintenance.